In 2014, Andrea Lea was elected the 40th Auditor of State. As Auditor, Andrea is putting her experience to work as the state’s general accountant, administrator of the Arkansas Unclaimed Property Act, and payroll officer for over 600 elected officials and their employees. She is partnering with businesses and using technology to improve the way unclaimed property is reported to the state and returned to the rightful owners through the Great Arkansas Treasure Hunt. She is also working to reduce operating expenses and establish transparency as the foundation of the Auditor’s office. Andrea Lea has nearly two decades of leadership experience in Arkansas. 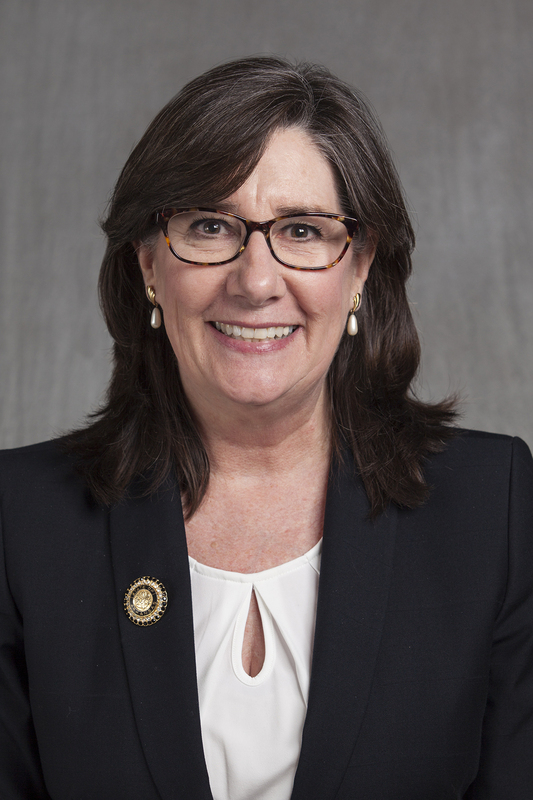 She served on the Pope County Quorum Court, the Russellville City Council, and three terms in the Arkansas General Assembly before being elected Auditor of State. Andrea graduated with a Bachelor of Science in Emergency Administration and Management from Arkansas Tech University at the age of 47 and continues to advocate for non-traditional students to return to school and complete a degree. She is a proud daughter, wife, and mother to U.S. Veterans. With family ties to Arkansas, she and her husband Phillip returned in 1982. They have three grown children and three grandchildren.